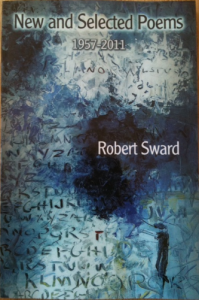 Local poet, Robert Sward begins his book tour for his newest book, New & Selected Poems 1957-2011, September 14, 2011 in Sausalito. The material for the Robert’s new book is culled from his newest and best, including both previously unpublished poems and selections from his 20+ books of poetry. It is the definitive Sward collection, exhibiting throughout his signature style: outwardly zany and fanciful, but inwardly serious, troubled, and questioning. They cover the territory Sward has tread so well-love, divorce, multiple marriage, aging, loss, and the challenge of bringing up children in a highly unstable world-in his lifelong search for the liberating illumination of IT. The publication by Red Hen Press is scheduled for October 1, 2011. Pre-orders are available from www.redhen.org. In celebration, Robert will be on Artist on Art September 26, 2011.